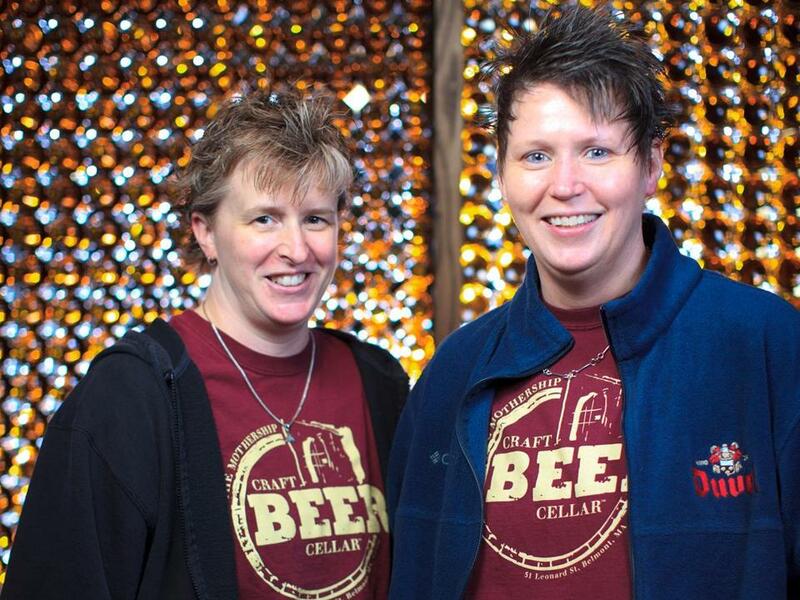 Kate Baker (left) and Suzanne Schalow are creating a national franchise of specialty beer stores. Is there ever. And now Baker and Schalow are betting their model can work elsewhere as they expand to New Hampshire and Vermont, as well as Florida, St. Louis, and maybe Seattle. Their goal is to make people think about whether to buy a Pretty Things Jack D’Or or a Sierra Nevada Pale Ale as carefully as they would wrestle between a cabernet or a merlot. It is a risky quest. Despite craft beer’s popularity boom, creating a national franchise of specialty beer stores has not been done. One reason could be that craft beers accounted for only 10 percent of the dollars in total beer sales in the United States in 2012. 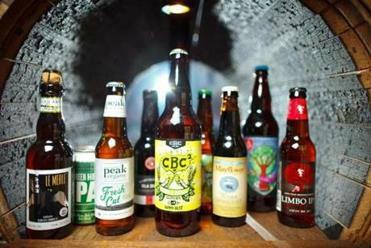 Craft Beer Cellar stores carry flavorful ales and lagers that are brewed to traditional standards and can be hard to find. Baker and Schalow prefer to focus on other numbers, like the 2,403 brewers that operated in the United States in 2012, the most since the 1880s, according to the Brewers Association. Schalow and Baker hope to capitalize on this explosion by packing each small, service-oriented store with carefully curated beer while leaving out nips, cigarettes, and jugs of wine. Schalow and Baker, partners in life as well as business, met in 2002 when Schalow, then a manager at Cambridge Common restaurant, hired Baker. The first beer Baker consumed in front of Schalow was a Budweiser. “I almost fell over,” Schalow says. Around that time, Schalow wanted to take Blue Moon, a MillerCoors product, off the bar’s tap list. When ownership said no, she challenged her staff to “sell the heck” out of something else, and Magic Hat’s Circus Boy, a craft beer, eventually replaced Blue Moon. Baker and Schalow married in 2010, and the couple decided that year to leave the restaurant and open the beer store. The pair have scoured the region looking for craft beer from hard-to-find brewers. Stores carry multiple styles from brewers like Northampton’s Brewmaster Jack, Everett’s Night Shift Brewing, and Plymouth’s Mayflower Brewing, as well as beers from Belgium, Italy, and France. Brian Shaw, who opened a Craft Beer Cellar in Newton Centre recently, says business has been brisk. A big reason is that light beer, in particular, remains hugely popular. 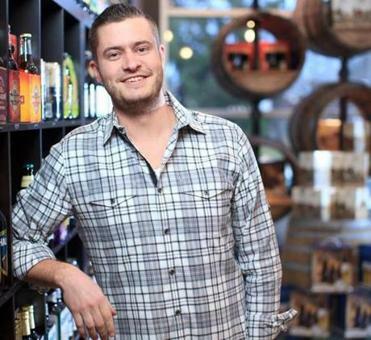 John Libonati and Chris Schutte own Social Wines in South Boston, which carries only premium beer, but also wine and spirits. They acknowledge the higher markups on wine make it easier to not carry the big-name beers. Craft beer, by definition, means small, independently owned, and brewed to traditional standards; it accounted for 6.5 percent of the volume of all beer sold in 2012, according to the Brewers Association. Schalow knows craft beer is not yet on everyone’s radar. “We’re the crazy hippies with the headbands, screaming and shouting and carrying the torches,” she says. Franchising was not always the plan, says Baker. The pair spent “close to 50 hours” scouting store locations in St. Louis before hiring a real estate developer to help. They admittedly don’t know the Brandon, Fla., market as they know Belmont. Selecting new franchise sites and owners has taken them away from their base. “The first couple months were humbly painful,” says Schalow. She says the store’s regular customers weren’t used to seeing them less. Movic says the store’s brand is intrinsically linked to Baker and Schalow. “But it is already becoming much more than that,” he adds. Despite early challenges, the owners — with a staff of about 30 people and growing — remain devoted to spreading their motto of “Don’t drink crap beer.” Schalow talks in great detail about educating her staff and the public (”If you can’t buy good beer from me, just buy good beer,” she says), and several staffers eagerly share their “a-ha” moments of talking dazed and confused customers “down from that scary place” and converting them into regulars. Shaw, the Newton Centre store owner, says business has been brisk since the opening on Oct. 30. Kay Lorenz, one of the owners of the Braintree Craft Beer Cellar, says she has “been welcomed with open arms” by neighboring retailers. On a day in late November, a new 20-something employee introduced himself to Schalow on his first day.